Add a pop of blue to your wardrobe this season with this bold must-have dress! 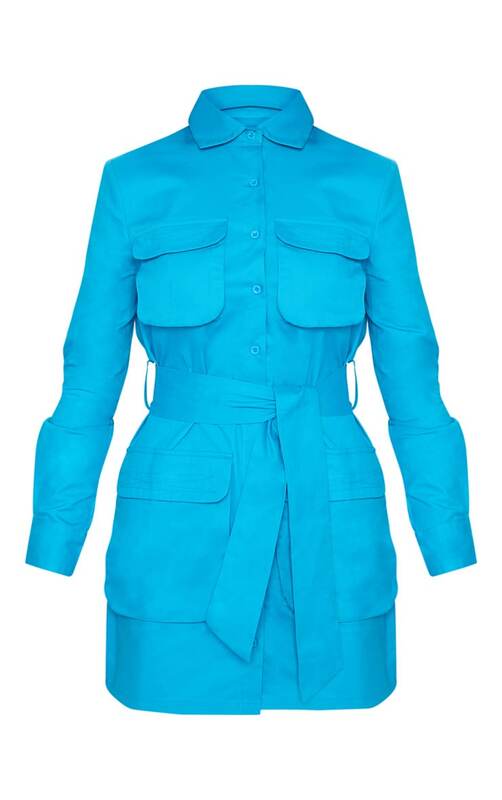 Featuring a bright blue material with utility styled pockets, tie waist and shirt dress fit, this dress is all kinds of goals. Finish off the look with clear pointed heels and add blue oversized shades for the ultimate cool look.